Dalla Valle opened the gates to a new viticultural trend in Napa. "Everyone thought I was crazy when I bought up here and planted vines," says Naoko Dalla Valle. "They said, 'Why don't you plant on the valley floor, where it's easier?'" That was 1982. Dalla Valle immediately set to pulling up the 4 acres of Zinfandel she had acquired and planting Cabernet Sauvignon and Cabernet Franc. By 1987 she had finished … just as phylloxera arrived. 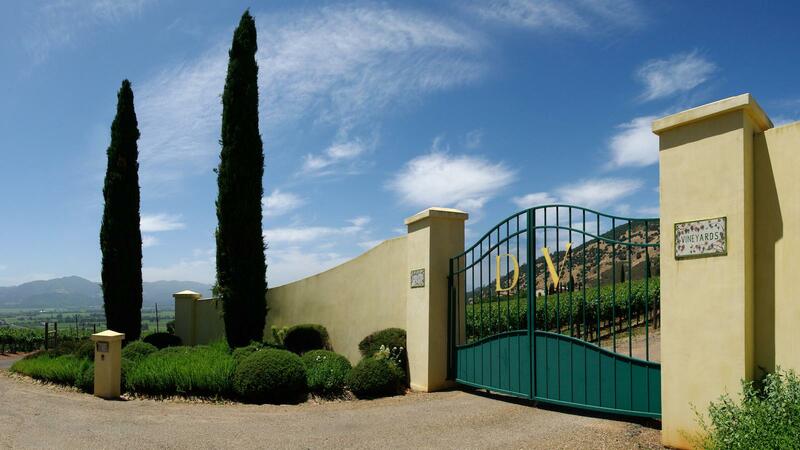 The second replanting and expansion was completed in 1999, and today Dalla Valle has 20 acres under vine, primarily Cabernet Sauvignon along with 30 percent Cabernet Franc and 1 percent Petit Verdot. Dalla Valle's gamble has borne fruit. "This was really one of the first wineries to take that approach," says Andy Erickson, who has made the wines here since 2007. (He and Dalla Valle met at a barbecue at Screaming Eagle.) "It was a change in the mindset of Napa to move to lower yields, more difficult-to-work hillside sites. At the time there was basically just Diamond Creek and Joseph Phelps. Dunn was just getting started. Dalla Valle helped show the way." Erickson extends a long line of impressive winemakers here, following Joe Cafaro, Heidi Barrett, Tony Soter and Mia Klein. But unlike his predecessors, Erickson gets to work with organic fruit. Dalla Valle made the conversion when Erickson arrived, and the change in the vineyard has been dramatic. The rugged site, 800 feet above the valley floor, draws a healthy breeze, and the red, rocky Aiken clay and gravel with decomposed granite stresses the vines. Yet despite the terrain's dips and swales and the low-vigor soils, the vineyard is pristine and precisely groomed, with soldier-straight rows. "Getting the vineyard to this state was hard in the beginning," says Erickson. "Now every shoot grows to the same height, we get the right amount of fruit per vine, right amount of sunlight on the clusters. That's a function of organics, because you have to be on top of things all the time. It's in attention to detail." "[Going organic] was the right thing to do," Dalla Valle says. "I live in the middle of the vineyard." Dalla Valle's daughter Maya has also become an agent of change, though it took a little time. As a teenager, Maya insisted she wasn't interested in wine or the winery. She went off to earn a degree in international studies at the University of Washington. Afterward, it occurred to her that maybe she should take a look at wine. Working with Michel Rolland, who consults at Dalla Valle, she bounced from Argentina to Ornellaia in Tuscany and then to Bordeaux, where she stopped at Pétrus and Château Latour. Then, she came home. "Now she's overqualified," Dalla Valle laughs. Maya has her eye on biodynamics, a result of her time at Latour. When I ask if she gets any resistance to that idea, she says "Yes" at the same time her mother says "No," causing them both to laugh, before Maya adds, "It's a way to sustain a vineyard for 50 years. I'd rather nurture vines along than replant every 20 years." Heading back into the cellar, two new clay amphorae sit at the end of a row of barrels—new toys for Maya to try out with the 2018 vintage. "I'm on board," says Erickson with a friendly shrug. And that's the vibe here among the three: Gentle harmony. It's breezily friendly, while they give an unsparingly intense level of focus to the site and its wine. Dalla Valle makes around 3,000 cases annually—about 1,000 cases each of the Cabernet and Maya bottlings, and an additional 500 or so of Collina, the introductory wine that draws on fruit from younger vines and is made to be approachable when young. Naoko Dalla Valle may have chosen the harder route, heading up the winding road just east of the Oakville Cross to find her bit of land. But it proved to be the right one: Her estate is a reference point in Napa Valley, making ageworthy Cabernet blends infused with a distinctive, lightly rugged tug of red earth that sets them apart. And with the second generation now in place, the future looks well-charted. WineSpectator.com members: Get James Molesworth’s tasting notes for dueling three-year verticals of Dalla Valle's Cabernet Sauvignon and Maya cuvées.